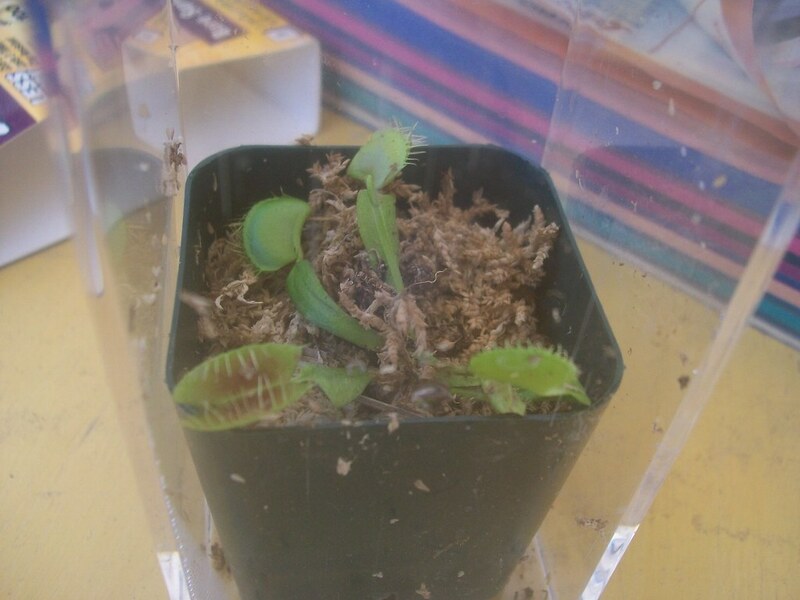 I was going to order some VFT plants and Sundew plants and well I still am but I couldn't wait so I went down to the local lowes and bought a VFT plant they had there for 5 dollars. I put some pics. Let me know what you think. Having never owned one before Id look to here comments on if they look good and healthy. Also how long can I expect for them to start growing. Right now they are in a 2.5 inch pot. 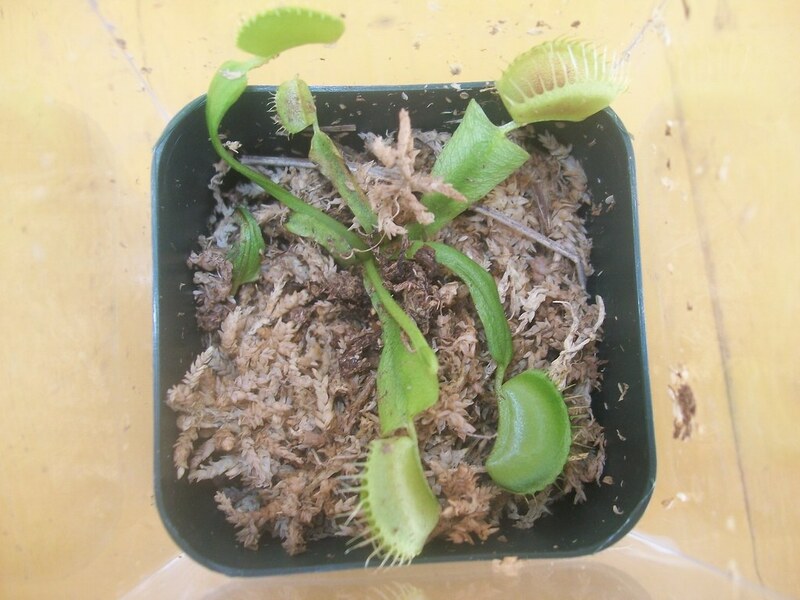 Hello gabescott and welcome to FlytrapCare! 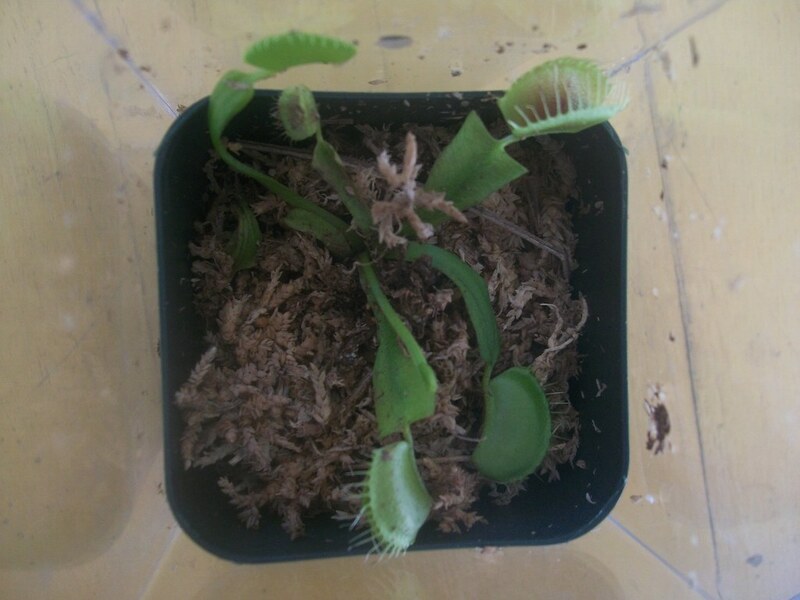 Many congratulations on your first VFT! It's a little light starved right now and the soil (sphagnum moss) looks a bit dry, but give it some distilled water and gradually introduce it to sunlight and it should do well this summer. Congrats on the new plant! Good luck! 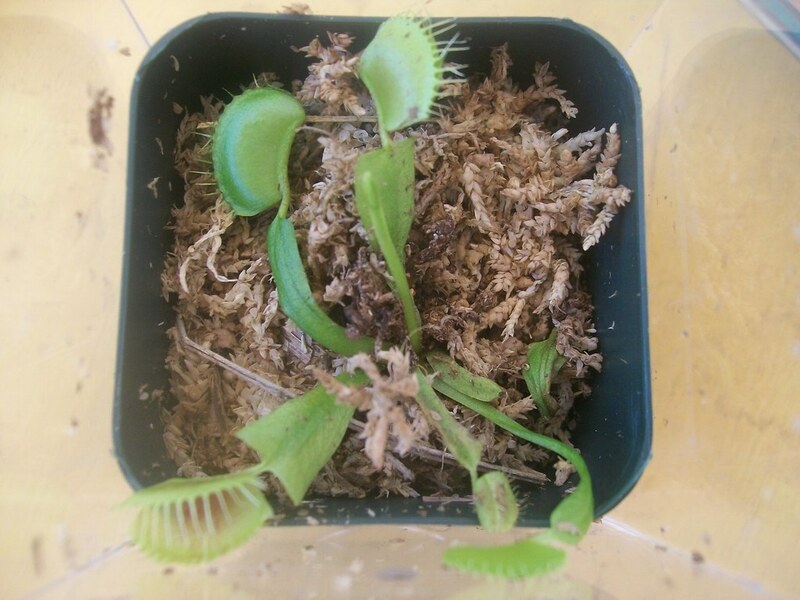 It would also benefit that plant if you pulled it out of the cube it's living in. High humidity isn't a requirement for VFTs and it will complicate growing it. Congrats! Make sure you give it some water. The soil looks pretty dry. Listen to the advice you have been given and relax and enjoy your plant--They are tougher than most people make them out to be if you follow the main rules of taking care of them. Keep us updated and hope to see you around the boards.